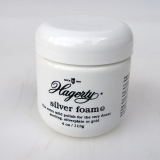 Use for renewing your Hagerty Silversmith Polishing Gloves. 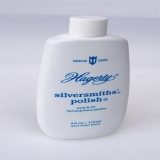 Replenishes the polishing power of the specially treated Hagerty gloves after they have been used numerous times. Contains R-22, a patented tarnish preventative. Simply apply to the gloves and wipe away tarnish. 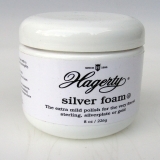 Formulated to clean sterling, silverplate, and gold. Safe for use on 24k gold. Polish does not contain any harsh abrasives. 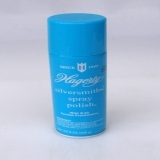 Hagerty Silversmithsâ€² Spray Polish This superb polishing spray can be used conveniently at the display case. The enhanced formula works to maintain your silverâ€™s patina while guarding against tarnish for months, leaving a lustrous "showroom shineâ€ on your finest pieces. 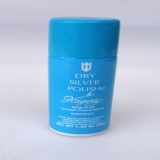 Contains R-22, the worldâ€™s longest lasting, patented tarnish preventive agent. WHAT TO CLEAN: Formulated for silver, silverplate, and gold. Ideal for cleaning display silver, items with porous materials that cannot be rinsed, and pieces with intricate pattern work. 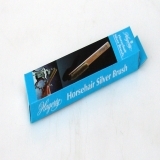 HOW TO USE: Simply spray your finest silver and buff tarnish away without the hassle of rinsing. 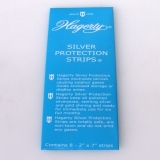 Keep silver sparkling longer by dusting regularly with Hagerty Silversmithsâ€™ Gloves. Use with a cotton swab for hard to get spots. It also works very well with a buffing wheel. Maintaining the Patina of Silver Available in 8 oz and 14.5 oz size. Recommend for outdoor use or with proper ventilation. 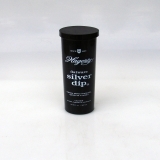 This is the best silver cleaner we have ever used. Add $5 for the larger size.